While I do like playing around with classic recipes to see what other variations might make them a little more interesting, I've come to realize that pecan pie is best left alone. 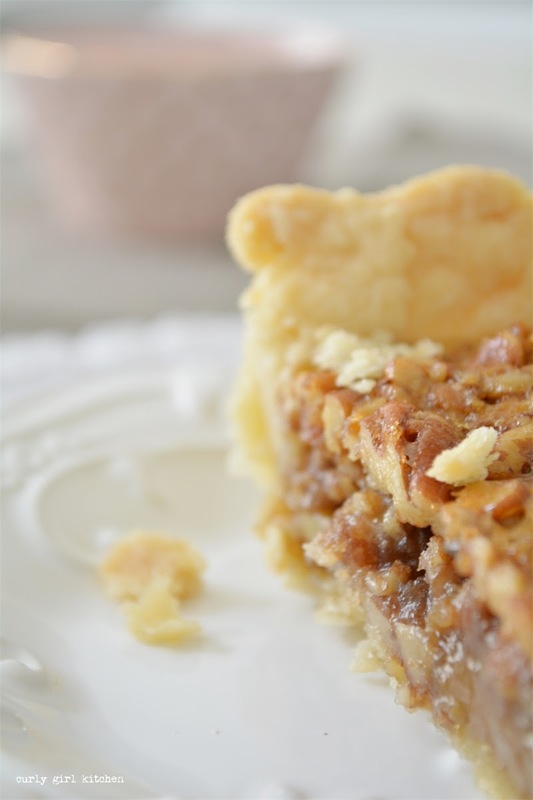 And although mine is slightly lighter in corn syrup and a little heavier on the butter than most popular recipes, the main difference in my recipe is my baking method. 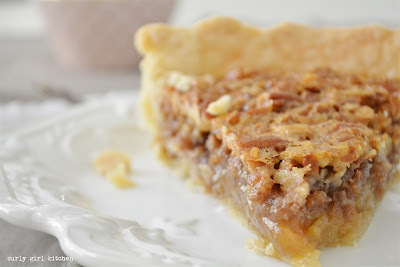 After baking several pies that remained liquidy underneath that top layer of pecans that rises to the surface of the caramel, I began baking my pecan pies at a lower temperature, so that the caramel is perfectly set and the pecans perfectly toasted, and it comes out, well, perfectly, every time. 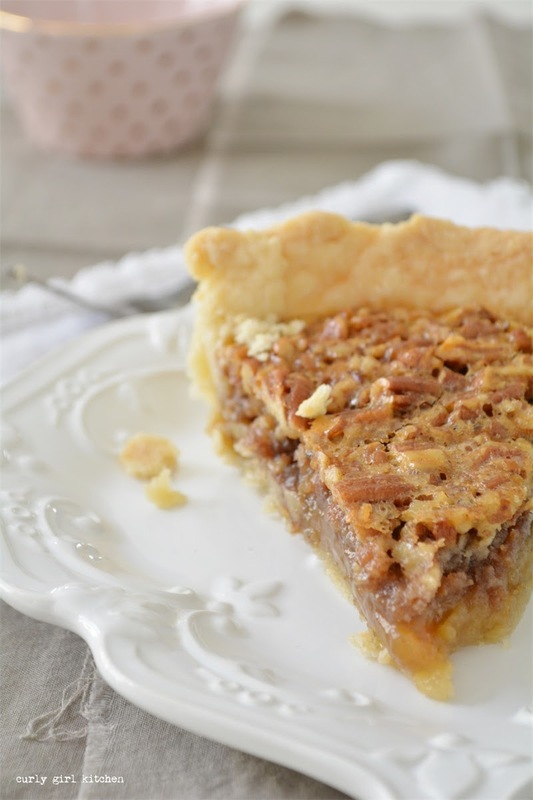 There's no fancy decorations on this pie, no cute little pie crust cutouts or dramatic arrangement of pecans on top - just a simple, classic and delicious pecan pie. Prepare the pie dough as directed, keeping half to use, and wrapping and freezing the other half, or using it for another pie. Roll the dough out to between 1/4 - 1/8 inch thick and fit into a pie pan. Trim the edges and refrigerate for 30 minutes. Preheat the oven to 350. Whisk together all the filling ingredients, except the pecans, until well combined, then stir in the pecans. Pour the filling into the chilled crust. Bake the pie at 350 for 10 minutes, then reduce the heat to 300 and bake for about 40 minutes more, until the pie is set and no longer wobbles when you jiggle the pan. Cool for at least 4 hours, or overnight, before cutting. Looks simply delicious. hope you had a wonderful Thanksgiving!